A first-person action game developed by Uppercut Games, the company also known for creating Submerged. City of Brass is a first-person action game developed by Uppercut Games, also known for Submerged (2015). The game has been initially released in 2017 on PC/Windows, and a year later, it has become available on PlayStaion 4 and Xbox One. 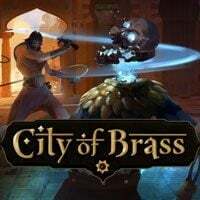 The action of City of Brass takes place in a cursed city inhabited by ghosts, wraiths, animated skeletons, and other dangerous beings. A player assumes the role of a thief who wants to steal a precious treasure hidden somewhere in the city. However, the road he has to take in order to succeed is not a bed of roses. The PC, PS4 and XONE release of City of Brass offers only a single player mode. The character, a player gets to control, wields a scimitar (a type of single-edged sword) to fight enemies and a whip to disarm, stun, and push away the foes. Combat exhibits a rather arcade nature as well as a high difficulty level – usually one has to fight several opponents at once, which often ends up with the main protagonist’s death. Whenever that happens, a player loses all the items he has previously gathered and has to start over the entire game. The game changes with each randomly generated location – a special algorithm connects the courtyards, corridors, and rooms in a logical manner. Because of that, one cannot foresee what is coming, so players should learn from their mistakes and draw conclusions for the future. With time, one becomes able to move around the maps more dynamically, discover enemies’ weaknesses, and use traps located all over the city to his own advantage – e.g. by pushing enemies into spikes that burst out of the ground. During the game, one has to gather various items and make use of services offered by the jinn. Every once in a while, a player meets one of these friendly ghosts who sell better equipment for the journey to come and grant a player one wish – one can set a jinn free and use his help in the upcoming final battle. Apart from all of the aforementioned elements and mechanics, the developers implemented into the game the so-called Divine Burdens, which enable players to modify enemies' abilities and influence the dangers lurking in the dark recesses of the cursed city. This comes in handy whenever one wants to make the whole experience even more difficult. City of Brass is inspired by The Book of One Thousand and One Nights - all the opponents, the jinn, the haunted city, and every other element of the game derive from Arabic legends.